I am a procrastinator... atleast I admit it. 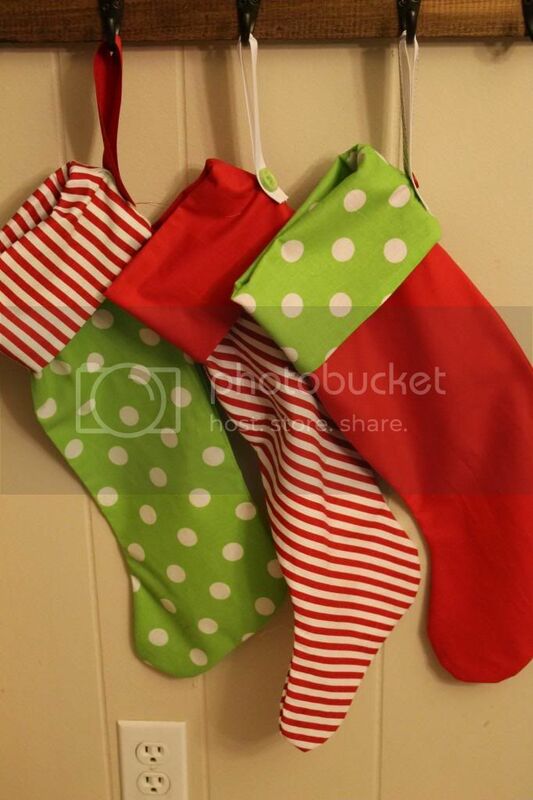 Making Christmas stocking has been on my to-do list since Summer. Actually I started brainstorming my Summer to do list in the Spring... so it's something I've wanted to accomplish for a while. I wanted our little family to have matching stockings. 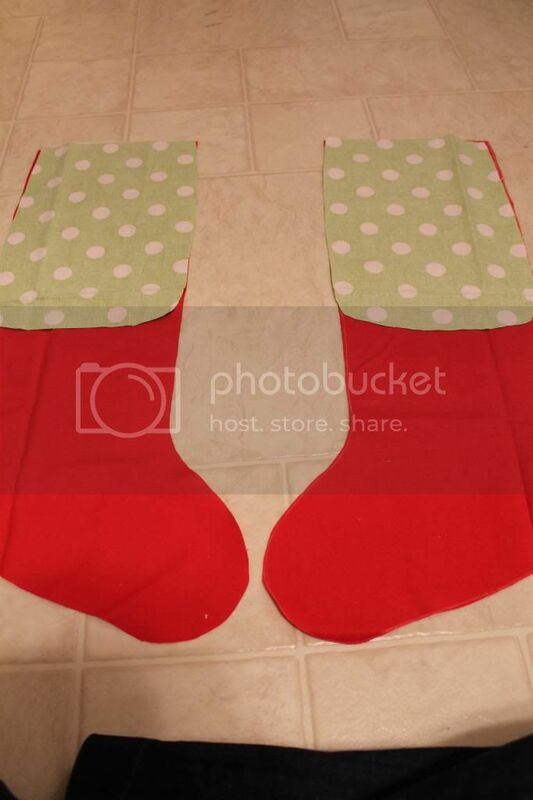 See when you get married the first thing you want to do during the Christmas season is to buy matching stockings. Only problem? 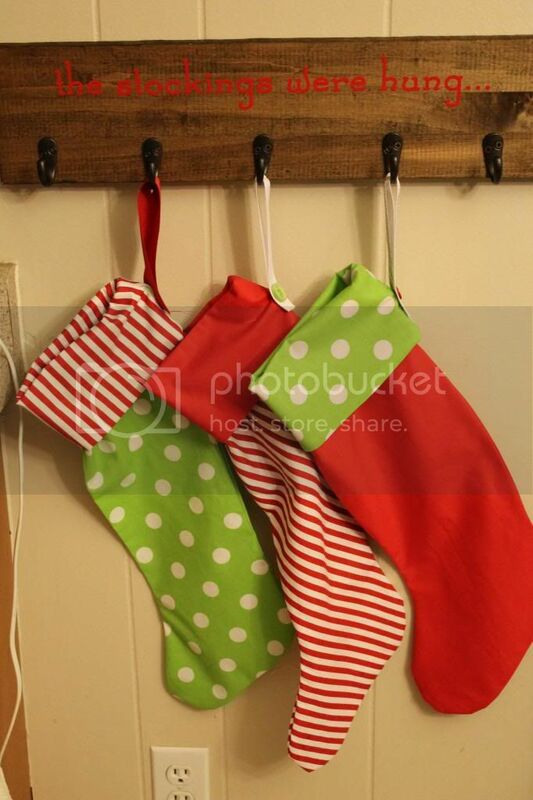 Then you have kids, and you can't find stockings to match the originals. Then you're not sure how many kids you'll have... so it was just a dilemma all around. We've lived with mis-matched stockings for 5 years. And I'm over it. I couldn't imagine spending another Christmas with mis-matched stockings. Silly? a little. I started on Pinterest getting ideas. This is the best tutorial I found. Most tutorials I found used interfacing or some sort of padded layer between the outside and inside layer. I really didn't want to make this any more difficult than it should have been which is why I loved this tutorial. 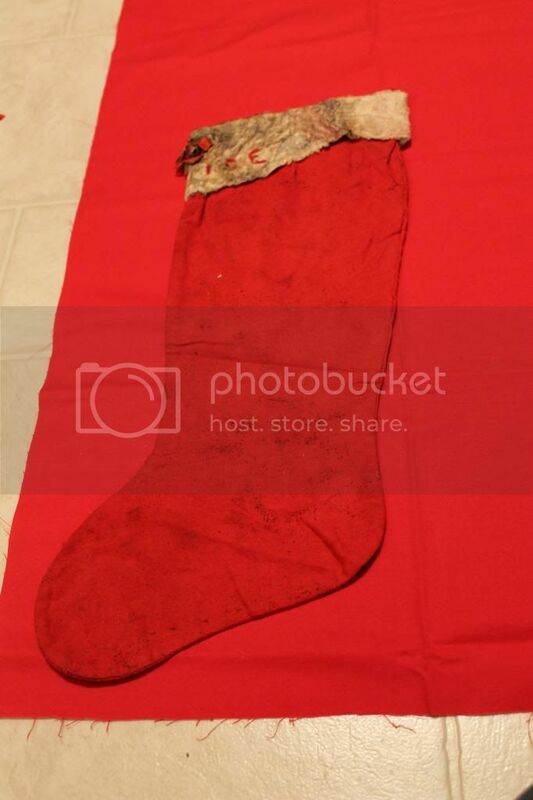 I used my mom's baby stocking (which was ruined from moisture) as the template- just to throw a little meaning into the project. The only change I made was instead of doing an entire layer on the inside, I cut it smaller (see picture) simply because I didn't have enough fabric for a double layer stocking. Once I made one I could have made 100. It was super easy after I got the first one together. I actually did one with scrap fabric just to make sure I didn't mess up on my good fabric because I wasn't sure that I would have enough. I wanted to make 5 since there are 3 of us now, I'm pregnant, and we don't want more than 3 kids. We have a doggie stocking too for Sadie-girl. I love that none are exactly the same but they all coordinate. 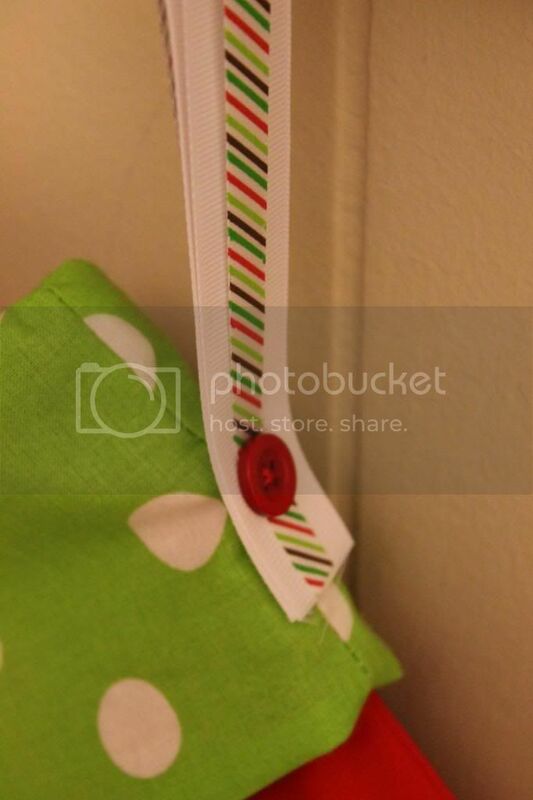 Also to make this project a smidge easier instead of sewing a loop of fabric for the holder, I stitched on a ribbon with a button to hold it in place. Ick sorry about the bad focus. Next came the actual holder. We don't have a fire place. Santa uses a magic key to get into our house. I grabbed a scrap board we had in our wood pile sitting in our wood pile and stained it with a walnut stain. (the stain was left over from our table make-over). Staining was 100xs easier than 2-3 coats of paint. I stained one evening and it dried over night. I grabbed 3 2-packs of oil rubbed bronze hooks from walmart (they were less than $3 each) and attached them to the dried board. Next came the fun part. Vinyl! 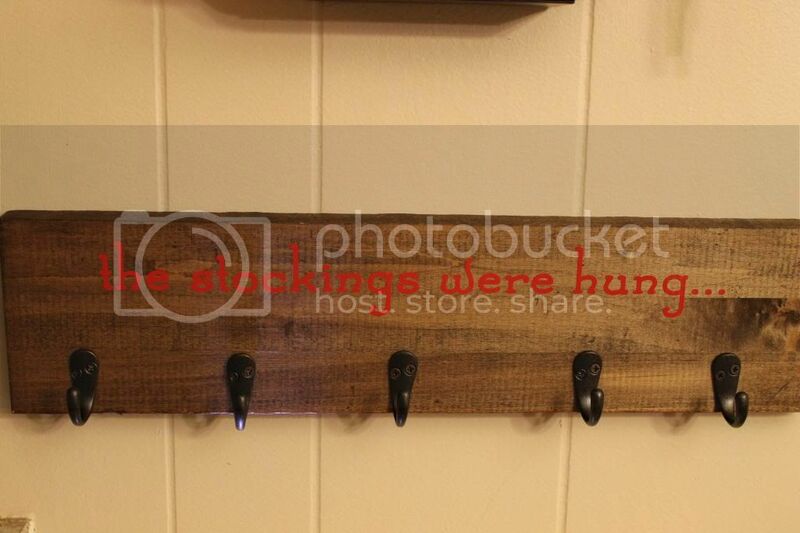 Here was my inspiration from Pinterest for the holder. I couldn't "claim" the saying since it obviously come from "The Night Before Christmas" but I also couldn't clain the idea- so there it is! I have one thing left to do on this project before I can call it done. 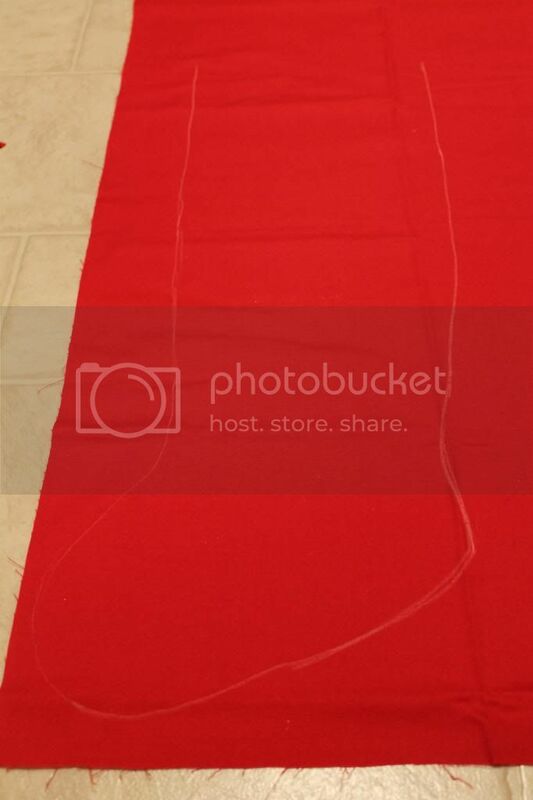 Instead of embroidering our names, I am going to use the Silhouette heat transfer kit to put our names. It'll look like vinyl on the stockings, but it will be permanent like the silkscreen on a t-shirt. Hurry Amazon prime!